Description: Hurry and buy this before it sells out! 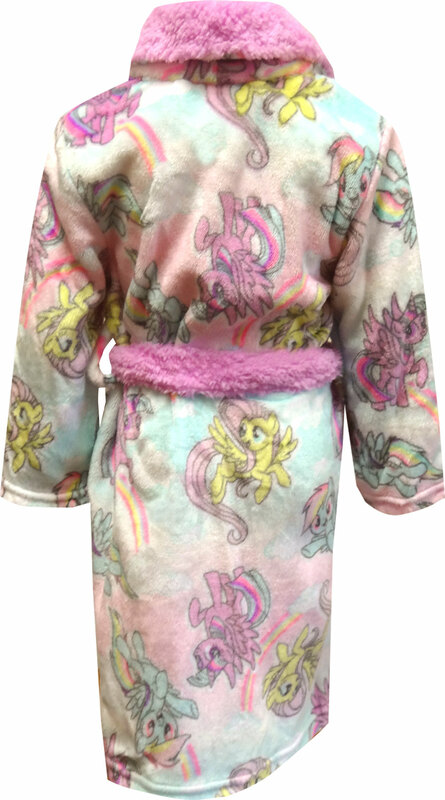 These awesome robes for girls have an all-over print of My Little Pony favorites. 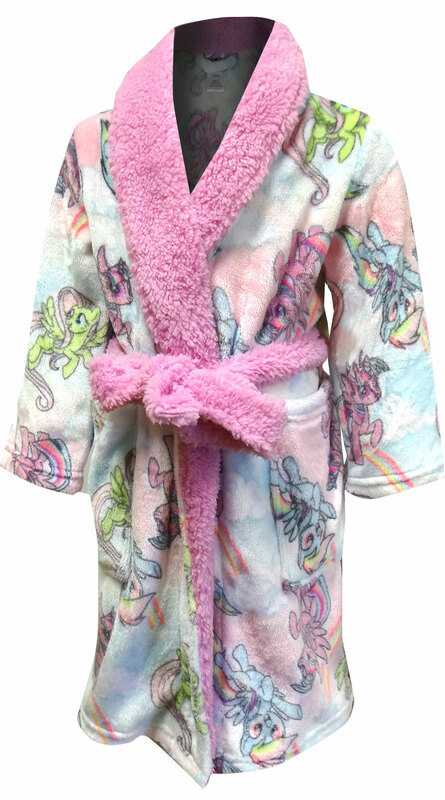 This plush robe has an anchored belt on the exterior so it doesn't get lost, as well as two front pockets. It is sure to be a hit with any MLP fan.